“I want to share a review to the paintings of Izabel’s authorship. I have two of them and both are my favorites: my energy portrait and the landscape of the sea coast. Both are in the bedroom surrounded by other dear things and these paintings is the first thing I see in the morning, waking up. 1. Energy Portrait. 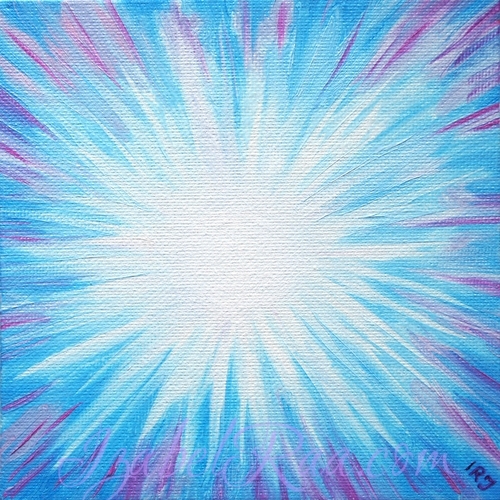 This is a small canvas depicting me as an energy entity. I feel deep resonance with colors and energy that the painting radiates! From the painting there is a flow of cool silvery-blue energy. This painting charges and fills me. 2. Landscape. This painting I like incredibly. 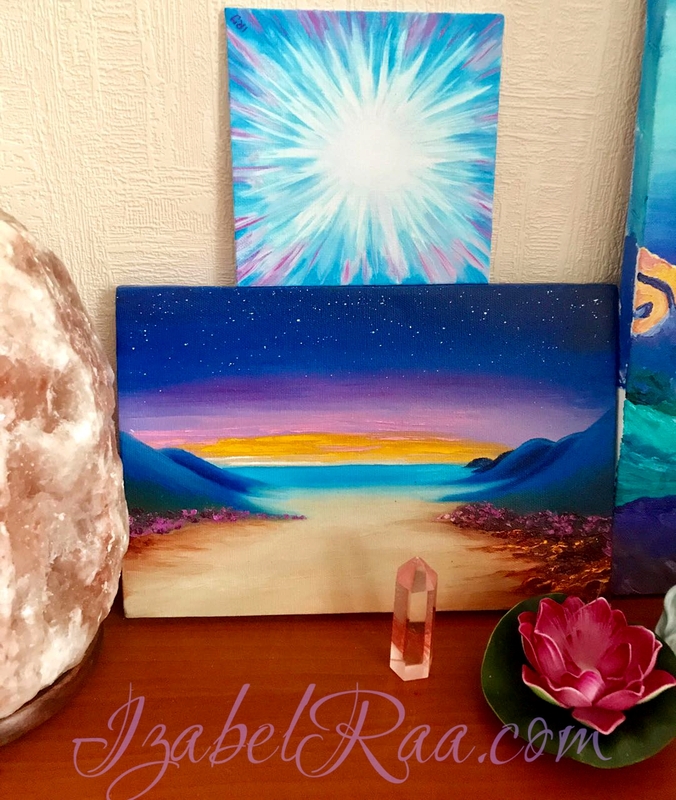 The sea, the beach, the starry sky, misty haze in the distance … This is the place where you want to dive and be on this beach with soft sand, sit by the water and listen to the splash of waves … this painting more harmonizes and calms me.